Congress President Rahul Gandhi never left any chance to attack Prime Minister Narendra Modi and his party BJP. Recently, Rahul Gandi at Talkatora Stadium at Delhi has announced its campaign ‘Save the Constitution’ and attacked PM Modi for various reason. Rahul even said that Modi has only interest in PM seat only. We have seen many times that Rahul’s speech in the various events created trouble for him either his ‘fata hua kurta’ or for his fumble during this speeches. Recently, BJP also took a dig at Rahul Gandhi and trolled him for his fumbling speeches in the Lok Sabha. Rahul Gandhi was also trolled by the Karnataka unit of the BJP. 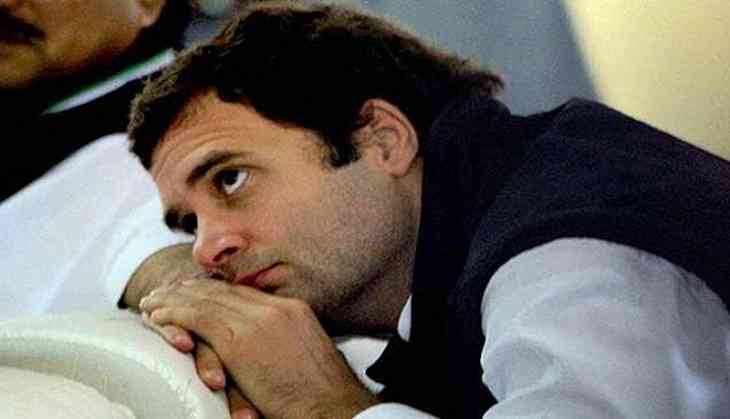 They had shared a cartoon image in which Rahul unable to pronounce the names of Karnataka’s famous personalities. The cartoon was created by taking the reference from the BJP MP Rajeev Chandrashekar which was shared last month. In the video, Rahul was not able to take the name of Sir M Visvesvaraya, a Bharat Ratna recipient during his Karnataka election rally. Well, Visvesvaraya was not the only one whose name was mispronounced by Rahul in that speech, he had also unable to take the name of Krishnaraja Wodeyar.